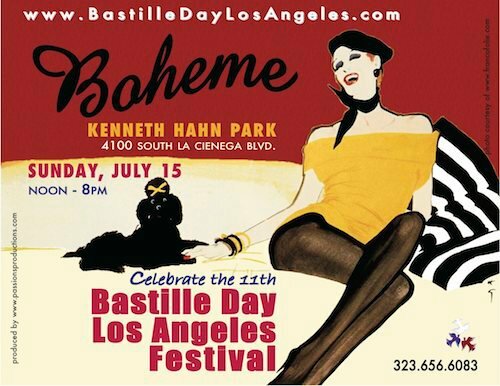 2012 Bastille Day Los Angeles Festival in its 11th year will take place at Kenneth Hahn Park 4100 South La Cienega Blvd, in Los Angeles on Sunday July 15th, 2012 from 12:00 pm – 8:00 pm. Live Entertainment brought to you by dancer/choreographer Lola Ohlala of Cabaret Versatile recipient of the Best Cabaret and Variety Show of the Hollywood Fringe Festival 2012 presenting: ‘French Bohême & Troubadours! Produced by Pascale Fortunat and Passions Productions. 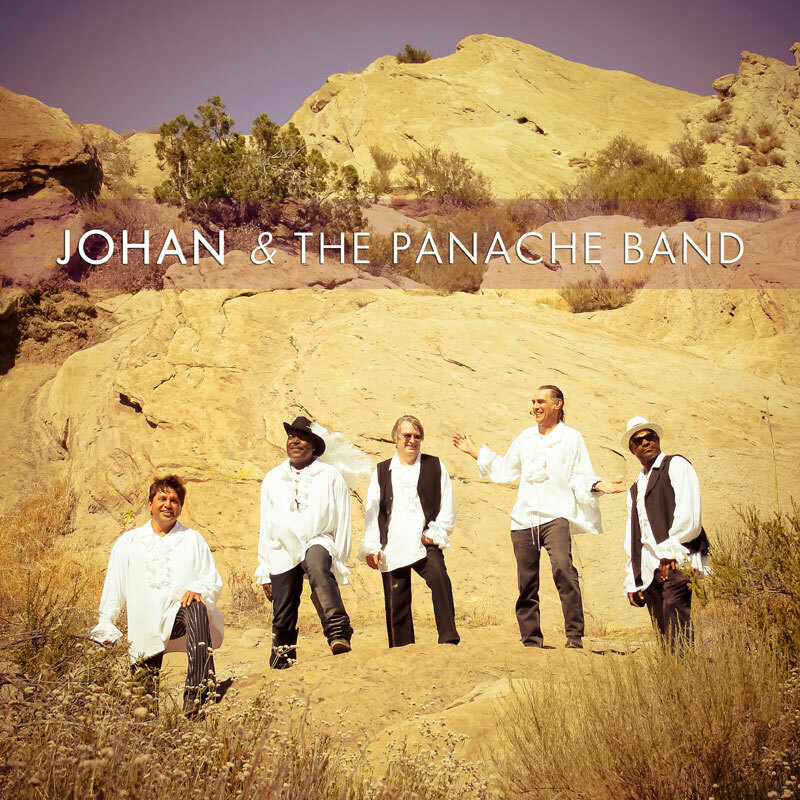 Johan & The Panache Band who will embark on a mythical Old-School R&B Funk voyage of the greatest artists and invite Bastille Day participants along on the journey and on the dance floor! Evyn Charles, a Soulful, passionate and engaging singer who delivers superb vocals, great guitar playing, and positive music with an extensive repertoire of cover songs and originals in French and English. J.R. Black, the first performer to translate and sing the songs of Johnny Cash in French. With his full backing band, J.R. Black emulates the traditional Johnny Cash sound, from the simple bass parts to the Luther Perkins boom-chicka-boom leads, yet interprets it with a certain Gallic flair and sensitivity. Come join in the fun and experience what tens of thousands of people have been enjoying for the past decade, making this annual celebration one of the most well-attended community festivals in Los Angeles. Pingback: Pascale Fortunat | French A L.A Carte Services & Blog! Pingback: Lola Ohlala & Cabaret Versatile Present “Carpe Noctem” at the Asylum Theater ! 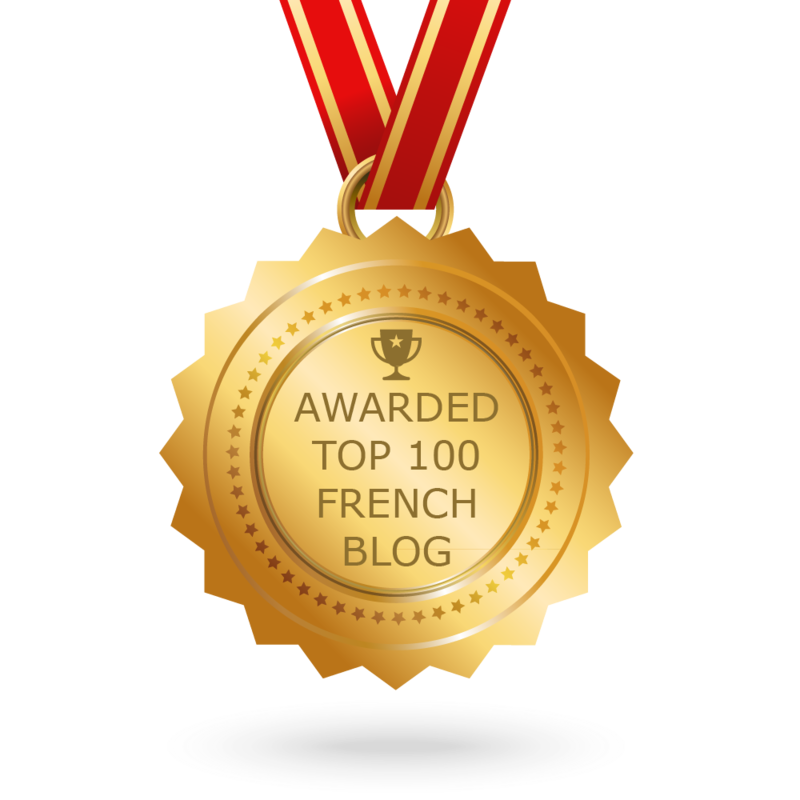 | French A L.A Carte Services & Blog! Previous Previous post: Le Foie Gras is Officially Banned in California!